WASHINGTON (CNS) – December, when all eyes are on the baby Jesus, the Holy Land Family Hospital of Bethlehem wants others to think about modern-day babies in the city in the West Bank where the Gospel says Christ was born. That’s where many babies are born to struggling families, increasingly in a tense environment similar to the one the Holy Family faced upon their newborn’s birth. Last year, to make life just a little easier for babies and their families, Michele Burke Bowe, of the hospital’s Washington-based foundation, began gathering onesies, the tiny one-piece suits many newborns wear, to give to Bethlehem’s newest residents. The foundation says the hospital, operated by the Order of Malta, helps deliver about 70 percent of Bethlehem’s babies. 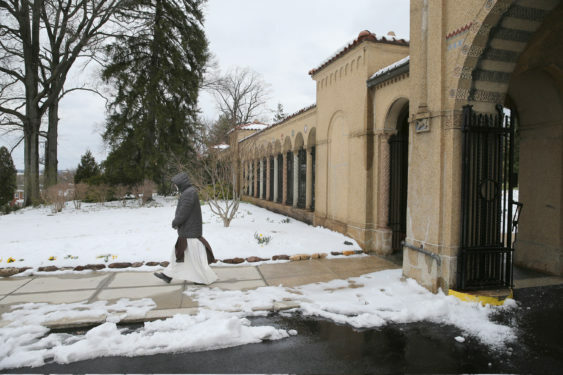 In the Washington area, the Franciscan Monastery of the Holy Land collects the onesies in boxes on its grounds but people also can mail them. Bowe packs them in suitcases and takes them to Bethlehem when she travels to the Holy Land several times a year. The foundation says it tries to provide a state-of-the-art maternity and neonatal hospital to serve many of the Holy Land’s families facing hardships. By the end of 2017, the hospital says it projects it will have delivered 4,000 of the area’s babies. Though the clothing is collected at Christmas-time, families in the Holy Land need help year-round and anyone wanting to donate new clothing or send a financial donation can do so at: Holy Family Hospital Foundation, 2000 P St. NW, Suite 310, Washington, D.C. 20036.